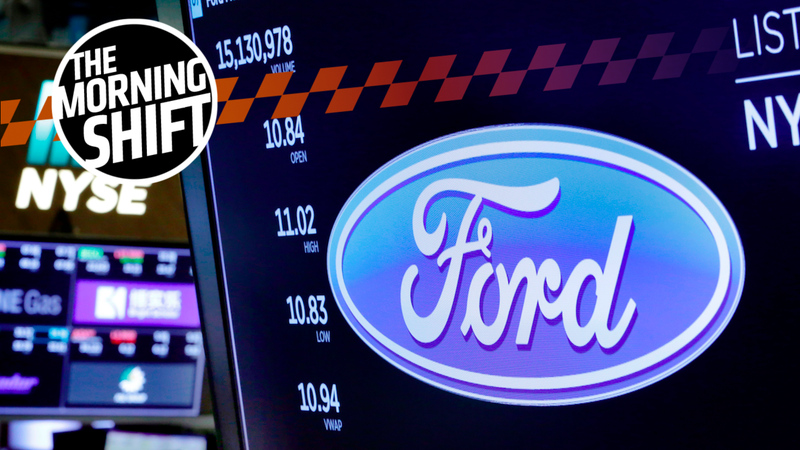 Ford’s credit rating tumbles, Hyundai’s not selling enough cars in China, and Elon Musk may be facing a lawsuit soon—this and more on The Morning Shift for Thursday, Aug. 30, 2018. Moody’s said that negative developments impacting Ford include: softening margins in North America driven by higher costs; reversal of its Chinese operations in which earnings before interest and taxes have fallen from a $70 million profit in the first half of 2017 to a $633 million loss in the first half of 2018; strain in the South American operations that lost $750 million in 2017, and continued losses in Europe which are likely to worsen because of Brexit-related costs from Ford’s UK operations. We’ll see how Ford’s decision to ditch most of its small car business in the U.S., and to focus more on crossovers works out. Hyundai is having issues selling cars in China, and thus may be forced to sell China-built vehicles to Southeast Asian nations as plants in the home of the world’s biggest auto market sit idled, Reuters reports, citing anonymous sources. The news site says that “diplomatic disputes,” as well as a desire for SUVs (which Hyundai still doesn’t offer enough of) and pricing competition from local competitors, led to Chinese consumers rejecting South Korean cars, and that, though the disputes have been ironed out, Hyundai is still recovering. But in Southeast Asia, Japanese cars dominate, leading one analyst to tell Reuters that Hyundai’s exports may not be enough to make up for excess manufacturing capacity in China. On Tuesday, Tesla CEO Elon Musk tweeted some dumb words implying that, because Vernon Unsworth, the Thailand cave rescue diver whom Musk had previously called a “pedo,” hadn’t yet sued, Musk’s statement must be true. We’ve covered the whole “Musk doubling down on the Pedo thing” thing at length here—the whole situation is thoroughly stupid. But yesterday it was reported the rescue diver’s lawyer has threatened a libel lawsuit, according to the LA Times and other outlets. The letter also apparently said Musk’s lawyer is “in the process of preparing a civil complaint for libel against [Musk].” This isn’t particularly surprising; it almost seems like Musk was asking for this in his latest tweet. “The Americans and Mexicans very much want to try and get things done by Friday and we’re seeing if we can get to the right place by Friday, but as I’ve said all along it has to be the right deal for Canada and that’s what we are staying firm on,” Trudeau told reporters Wednesday in Kapuskasing, Ontario. According to the news site, President Trump’s Friday deadline represents when he plans to tell congress about plans to replace NAFTA with the bilateral trade deal agreed upon with Mexico and announced Monday. That trade deal involved requiring a 75 percent of car content to have originated in the U.S. and Mexico, versus the current 62.5 percent current rule on how much content has to originate from North America. Plus, according to the Detroit News, 40 to 45 percent of car content has to be made by workers making over $16 in hourly wages. So, keep an eye out on Friday. Subaru, a brand that’s been thriving in America of late, will spend up to $48.2 million building a 60,000 square-foot technical center in Michigan’s Van Buren Township, approximately 30 miles southwest of Detroit, the Detroit Free Press reports. Citing state documents, the news site says the aim of the facility will be to “help Subaru ‘stay on the cutting edge of next-generation vehicle technology,’” going on to say that activity at the facility is expected to include autonomous vehicle development. The Detroit Free Press also mentions that foreign automaker tech centers in Michigan often involve sourcing parts from the thriving local supply base. ...many foreign automakers have started small and expanded their investments in southeast Michigan. Toyota, Nissan and Hyundai-Kia all have nearby tech centers. Nissan’s Farmington Hills tech center opened small in 1988 and now employs more than 1,200. Nissan has invested more the $250 million there over the years. So who knows how big this facility will get, especially considering Subaru’s current momentum. Ford Patents Carburetor: Henry Ford receives a patent for a carburetor especially designed for use in connection with gas or vapor engines. Neutral: Ford, Do You Have Faith In It? How do you see Ford’s outlook? How do you think the company has been doing of late?